R. Albert Mohler, Jr. is a theologian and the president of Southern Baptist Theological Seminary in Louisville, Kentucky. He earned a Master of Divinity and Ph.D. in Systematic and Historical Theology. He has authored, edited or contributed to a dozen theology books. The author proudly points out his book is different from the overabundance of the other secular and Christian leadership books that have deluged bookstores over the last 30 years. Mohler outlines 25 principles broken into chapters that will challenge how Christians view leaders and leadership. The author draws from personal, literary, biblical experiences as well as those of iconic world leaders to make his points about leading. Mohler tells us the Christian leader must have mental reflexes that correspond to biblical truth. The leadership that really matters is all about conviction. The leader is rightly concerned with everything from strategy and vision to team-building, motivation, and delegation, but at the center of the true leader’s heart and mind you will find convictions that drive and determine everything else. 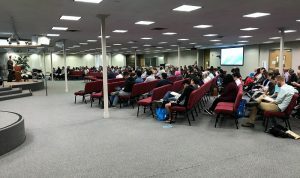 The more Christians learn about biblical leadership, the more effective we will be in our churches, families and ministries. 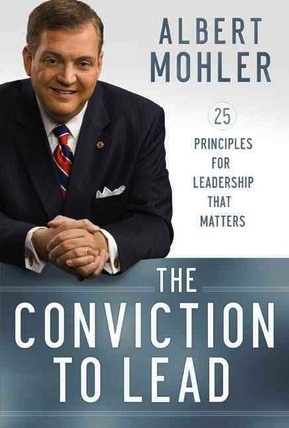 Mohler successfully redefines the debate about leadership. He establishes clearly what Scripture says about leaders and why Christian leadership is important. The theology of leadership is clear throughout the Bible. From Adam to Abraham to David to Paul, Mohler shows us God’s heart towards those he has blessed with hearts to lead. Anyone who has lead, is leading or hopes to lead should find this book Godly and enriching. Not everyone has been called to lead and few are natural leaders, but Mohler helps us see how to develop and hone leadership skills that can be used to serve God and advance his glory.